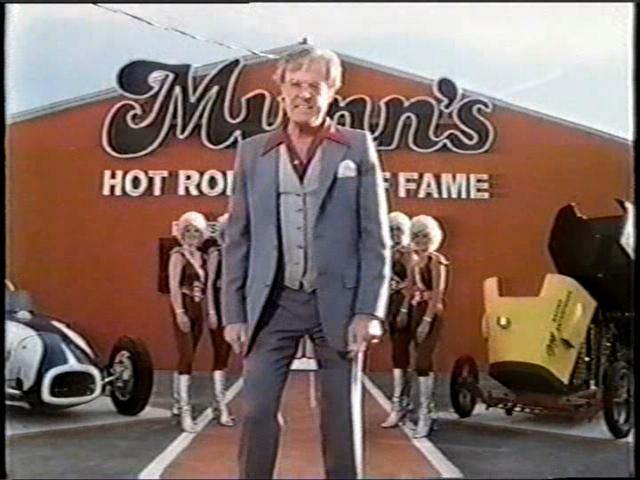 I’m a Hot Rod Baby! 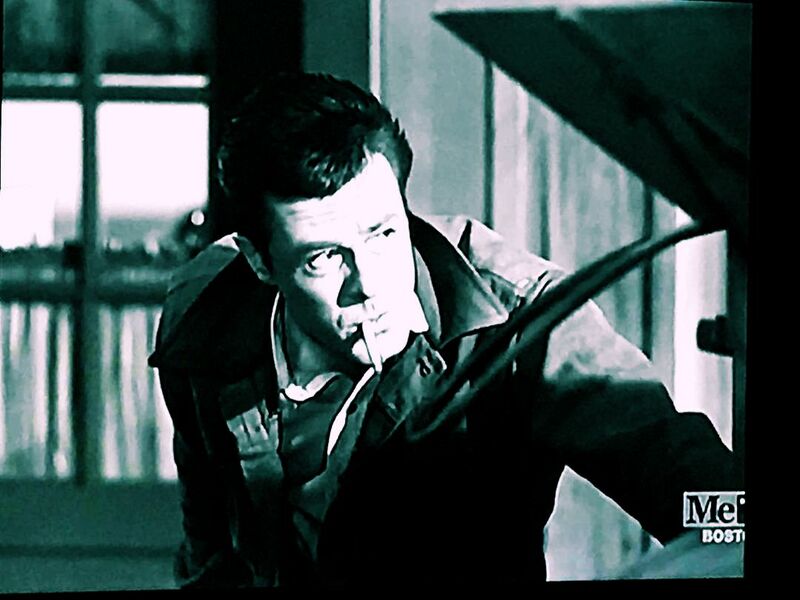 Robert Culp in a car movie? Yes!! Essentially The Dukes of Hazzard for the drag racing set, this made for tv movie originally was broadcast on May 25, 1979. 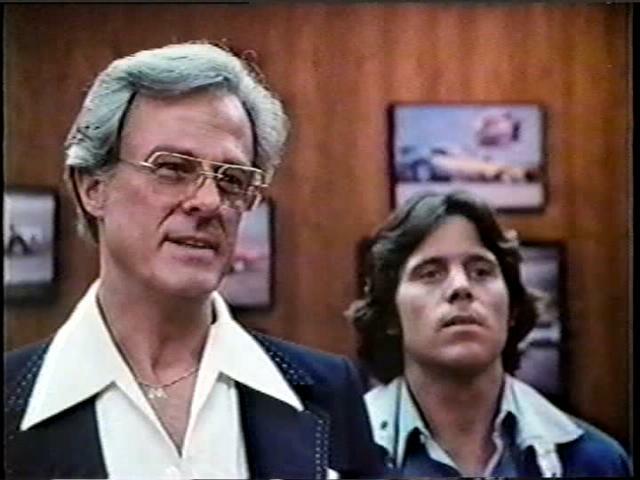 Culp is TL Munn, root beer king and corrupt town boss, who’s looking to get in big with drag racing by sponsoring a major nationals event. Not only does he hope to cash in, he intends for his son to win the race, if not for this out of town kid who comes in (Gregg Henry). 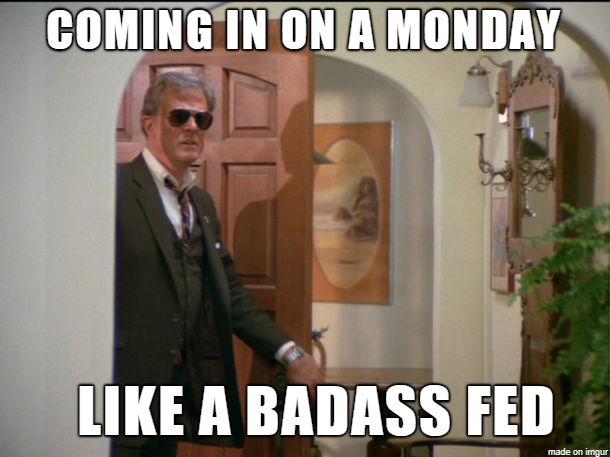 This movie features some great hot rods and (now) classic cars, great drag racing, 50’s rock and roll music and Culp sporting some very wide shirt collars. At least he only wears one gold chain and not ten of them. Since I’m partial to Bill Maxwell and his grey suit, I actually dig Mr. Munn’s grey suit here…only because I think it’s the same grey suit! 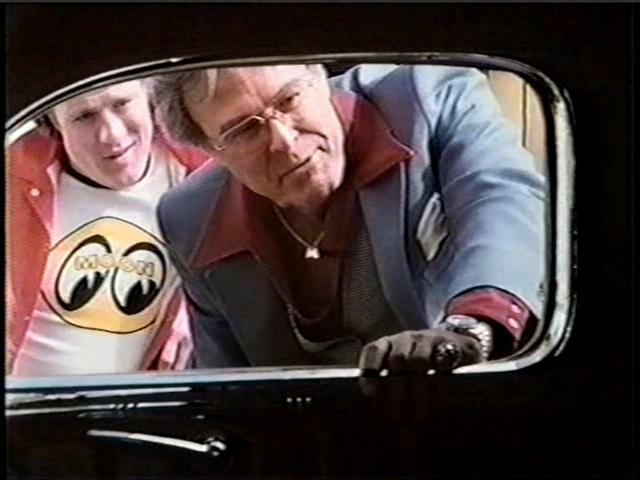 Culp himself does not hot rod in this movie, but does drive a horrifically painted Caddy. Nonetheless, I enjoy this movie and have watched it several times (I’m a car nut anyway). In this first clip, TL is trying to film a commercial for the Munn’s Root Beer Nationals but gets interrupted by the shenanigans of the hot rodders and rock n’ rollers. Companion clip to the one above, out of towner Brian Addison (Greg Henry) does his part to stir up a little trouble and the rock n’ rollers are still doing their thing. Fed up, Munn tells the disc jockey to get lost. Later in the film, when all of Munn’s attempts at harassment don’t keep Brian from running in the races, TL basically tries to buy him off. That doesn’t work either. Next PostNext What? More eBay BCTA photos?